There are some essential rules on which a regatta of sailboats is based. A basic principle for which the rules of sailing are applied is to avoid collisions. They can also be seen as a fundamental tool to guarantee everyone entertainment as part of a sailing race, which includes a departure, a performance and an arrival. Always sail with common sense, safety, and good sportsmanship. Right-of-way is not excuse to cause a collision. All boats (sailors) are required by rule to avoid a collision if possible. A sailboat in motion shall keep clear of a stopped yacht. After finishing your race, keep clear of the course and of other boats still racing. These following rules aim to set the rights of way between sailboats when racing. Especially when sailboats meet along the course and during the turning points around the floating marks. When sailboats are on opposite tacks, the port tack boat must keep clear of the starboard tack boat. On the same tack and overlapped, the windward boat must keep clear of the leeward boat. On the same tack and not overlapped, the boat clear astern must keep clear of the boat clear ahead. Any vessel overtaking another shall keep clear. A boat that begins the process of tacking or gybing must keep clear of boats that are on a tack, not tacking or gybing. If you are tacking you lose your rights until you are settled on a close-hauled course. When a boat acquires the right-of-way (such as gybing her boom to a starboard tack), this boat must initially give the other boats room to keep clear. After a brief period of time, the boat can exercise her newly acquired rights. When a right-of-way boat changes course (even a little bit), this boat must initially give the other boat room to keep clear. You cannot quickly change your course to force another boat into a foul. If a boat comes from behind you and begins to overtake your boat from the leeward side, and if that boat is within 2 boat lengths off your leeward side as it begins to overlap you, that boat is not allowed to sail above its proper course. In other words, it is not allowed to push you up into the no-go zone. When boats are overlapped approaching a turning mark, the outside boat must give the inside boat enough room to round, provided that the overlap was established before the lead boat entered the 4 boat-length zone. This rule does not apply at a starting mark as boats are approaching the start. The inside overlap boat does not have rights to room at the starting mark. This rule does apply at the finishing mark. A boat that has established inside overlap prior to the 4-boat-length zone must be given room to finish. You must round all marks in the direction specified (by race committee), and you must not touch a mark. The penalty for touching a mark is one full penalty turn (360 degrees). A boat may take a two-turns penalty (720 degrees) when she may have broken one or more rules, (except #9 above which is one full penalty turn). How a boat must conduct her penalty? After getting well clear to avoid impeding other boats, making the required number of turns in the same direction, each turn including one tack and one gybe. When? As soon after the incident as possible. When a boat takes the penalty at or near the finishing line, she shall sail completely to the course side of the line before finishing. Sailboat racing - radio yachting particularly - is a self-regulated sport. A fundamental principle of sportsmanship is that when a competitor breaks a rule he will promptly take a penalty, which may be, depending on the nature of the infraction, either performing one or two turns. 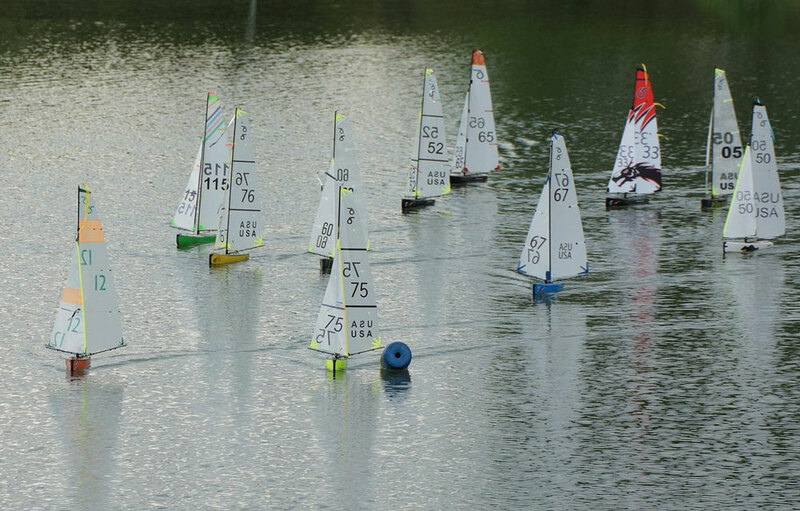 The rules, applied during a regatta of radio models, are identical to those adopted for traditional sailboats. The Racing Rules of Sailing refers to the international regulation updated - by the International Yacht Racing Union (IYRU) - concurrently with the end of the four-year Olympic period. It is not necessary to know all of the rules (In total there are 91 rules but only 15 rules govern what boats do when they meet on the water) to successfully compete in a radio models race, but a knowledge of the basics is recommended and helpful to properly adopt the tactics to enjoy racing against your opponents. give way if another sailboat has the right of way. Best way to master these rules is to practice while sailing. At the Radio Sailing Arena, you can rent fast radio sailboats and train your crew sailing on different race courses within marks: a smart way to focus on sail racing rules and race management, boat positioning, tactics. The meaning of this post is to share a correct way to talk about sailing and sailboats. Sailors have been developed specific languages: it's fun because you can recognize a racing sailor or a cruiser not only by how they dress but above all by how they speak! So, to express yourself at best on board or on the dock, from the beginning start to master the right words. BOW - The front of the boat. STERN - The back of the boat (the stern is also known as the aft). HULL - The body of the boat. DECK - The upper surface of the hull. KEEL - A weighted blade that protrudes from the bottom of the hull as a means of providing lateral stability. RUDDER - The hinged vertical blade mounted at the stern used as a steering device. MAST - Vertical spar (a pole) that supports sails or rigging. BOOM - It’s the horizontal pole which extends from the bottom of the mast. A radio-controlled sailboat has a jib boom and a mainsail boom that are adjusted in relation of the direction of the wind to harness its power in order to move the hull forward. MAINSAIL - It is the big sail located behind the mast of a sailboat. JIB - The triangular sail at the front of a sailboat. HALYARD - A line used to raise the head of any sail. SHEET - A rope used to control the setting of a sail in relation to the direction of the wind. ROPES - All cordage, the lines in the rigging. MAINSHEET - Sail control line that allows to trim the mainsail: it is used to control the angle of the boom, and thereby the mainsail. FORESTAY and BACKSTAY - Long lines supporting the mast forward and aft, and leading from the head of the mast down to the bow and stern of the vessel. RIG - the arrangement of mast, sails and spars. UPWIND - When you are going against the wind. DOWNWIND - When you are going with the wind. PORT - This is the left side of the boat when viewed from the stern. STARBOARD - This is the right side of the boat when viewed from the stern. WINDWARD - The side of the boat the wind hits first. The side from which the wind is currently blowing from. LEEWARD - The side of the boat the wind hits last: it’s the direction opposite to the way the wind is currently blowing. HEADING UP (luffing up or, simply, luff) - Moving the boat’s bow into the wind, or towards the direction it is coming from, to windward. BEARING OFF (or bearing away) - Moving the boat’s bow away from the wind, change the direction to leeward. PUFF (or gust) - It's simply an increase in breeze, big or small. LULL - The opposite of a puff: it's a temporary reduction in wind strength/pressure. REAL WIND (or true wind) - The wind strength and direction affecting a static object: i.e. the wind that a boat that is not moving would experience. APPARENT WIND - It is how the wind appears on a moving yacht: it is the summation (in direction and velocity) of wind as measured on land and of the wind caused by the boat’s own speed. VEER - A clockwise shift in wind direction. BACK - A counterclockwise shift in wind direction. LIFT - A wind shift toward the windward side of the boat. HEADER - A wind shift toward the leeward side of the boat (opposite to a lift). Helmsman needs to bear away to keep the same wind angle. TACKING - It refers to turning the bow through the wind so that the wind changes from one side of the boat to the other side. When tacking, the boom will always shift from one side to the other when performing a tack or a jibe. JIBING - The opposite of tacking, it’s the maneuver to turning the stern of the boat through the wind so that the wind changes from one side of the boat to the other side. Performing the jibing, the mainsail boom will always shift from one side to the other. LUFFING - Pointing the boat into the wind (sails flapping). IRONS - The hull of the boat is pointing into the wind, sails are ineffective and flapping. TRIM - Adjustments made to sails to maximize their efficiency. To deepen, see how to trim the sails. POINT OF SAIL - The boat’s direction relative to the wind. Well, we’ve dedicated a whole post to describe the different point of sail. BEAT - the course segment to the windward floating mark at a close-hauled sailing angle. RUN - The course, sailed at a near dead-downwind sailing angle, between the windward mark and the leeward mark. MARK (or buoy) - A floating object of defined shape and color, which is anchored and serves as an aid to navigation. CLEAR AIR - Air flow undisturbed by the presence of other boats and their sails. HOLE - A brief, localized reduction in wind velocity. SHIFT - A change in wind direction. To start sailing a radio-controlled sailboat is easy but at Play2Sail we like to say also that: "to play is to learn", so here we share some really simple basics and tips, dedicated to everyone who wants to begin the fun of learning how to use the wind to make his rc yacht go faster. Before you start a radio sailing session, it is important to know how to leave the pier and how to come back. You need to act in relation of the wind (its direction and intensity) at the moment you will place your model yacht on the water. So, check the prevalent wind direction, first. Our rc sailboats are really light: a DF65 yacht - ready to sail - weights around 1.2 kg only. When you handle it out of the water, remember to grip the boat from the aluminum blade of the keel. To avoid it does not suddenly fly away while from your hands, let the sails go freely and keep the bow of the hull and the sails pointed in the wind until you will place your boat on the water. • To start from the dock where the wind comes in front of you, your boat will have to sail upwind. Place it on the water and then turn the bow slightly away the no-go zone, tight in the sails acting on the left joystick of your radio control unit. The wind will start to power the sails and the boat will move forward. Act on the right joystick to control the boat direction by steering. Start to heading off just a bit to accelerate and now your boat will sail away from the pier fully under your control. • To return back to the floating wharf, sail downwind and start a large turn that will keep the boat on a broad reach that points your destination on the pier. Let go of the sails to slow down the boat speed. Before to be too close to the dock, turn quickly the bow into the wind and ease completely the sails. Keep the vessel pointed into the no-go zone, in iron, with the sails luffing into the wind. The wind will slowly push back the boat more close to the pier, where it will be easier to take it out of the water. (Remember to keep the bow pointing into the wind, with the. Sails completely released, and to firmly grip the keel in your hand). When your radioyacht is sailing, you can always stop your model by just turning the bow into the wind and letting go of the sails control line. When you do this, the wind pressure is off of the sails and they don’t generate push, the boat will stop almost immediately. This also is good for docking when the dock is upwind. • Starting from the dock when the wind comes from your shoulders, your boat will sail away running downwind. Keeping the bow inline with the direction of the wind and the sails well released. Place the boat on the water, turn the hull pointing downwind and leave it running away with the sails powered by the wind. • To return back to the pier your boat will have to sail windward. Sail it, point at a slow speed to your destination on the pier. Steer and luff into the wind and release the sails to reduce the boat speed. When you’re close to the dock, head up the hull in iron just in front of you, so will be easy to take the boat from the water. If you love to combine sailing, running and the passion for the great outdoors – which better way to do it than in the swedish High Coast? Docksta is homeland of the outdoor... and for runners there is no exception: each path is pure joy in discovering of the High Coast scenic beauty! The routes, across hills & woods, are a perfect mix of nordic landscape and stunning sea views. You will experience the thrill of running through natural sceneries into the heart of the UNESCO world heritage: through real nordic forests, red Nordingrå granite rocks covered by lichene and stunning hill summits. A run here is definitely an unique experience. 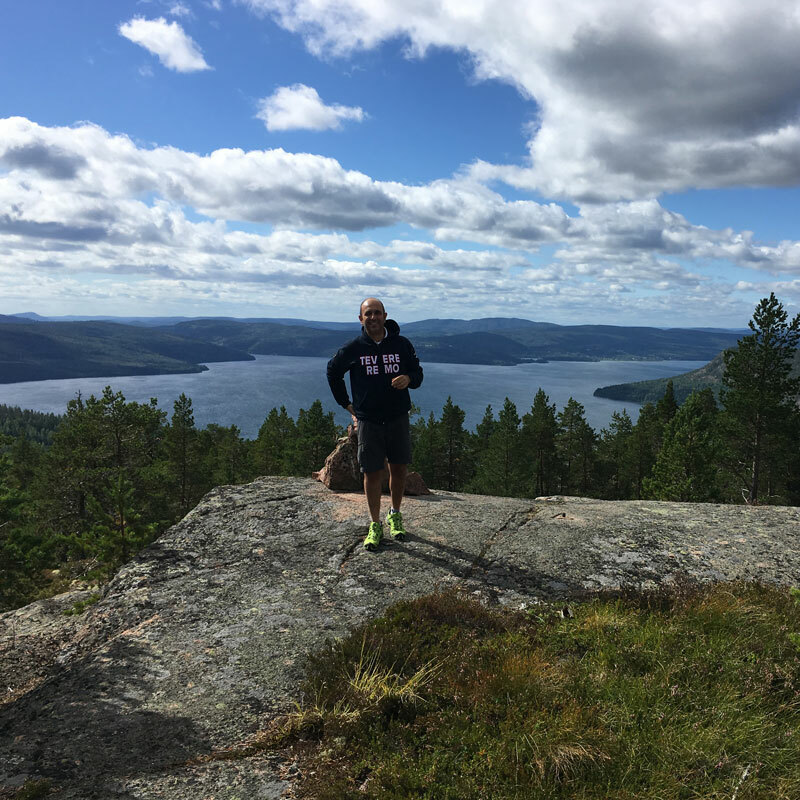 Did you know that there are at least 4 great trails you can run or hike to reach the top of Skuleberget? They will bring you up and downhill on the final segments of the Höga Kusten Trail race course. Docksta is surrounded by beautiful walks: on the seafront, on the hills or in the countryside. Skuleberget, Vårdkallberget, Skovedsberget hills offer extraordinary views to hikers and trail runners. “Nature running” has been shown to combine the benefit of physical exercise with the restorative effects of being immersed in natural environments. Running a natural trail is mindful: you constantly have to find your balance, control your steps, adapt your speed and your pace to the variety in terrain and elevation. Take a deep breath in the woods, it will clear your mind. Pair your breathing with your pace: inhale counting 3, 4... 5 steps and exhale counting 3, 4... 5 steps. Deep breathing will fill the lungs as you run. Here in the north, the air is clean and rich in oxygen: it will be easier to oxygenate the muscles and to have more energy to tackle the hills. You will likely encounter significantly more hills on the trails than you are used to on urban routes. This is a fun opportunity to add to your standard training. Running hills will make you a stronger runner and will improve your breathing efficiency. On the physical side, this kind of runs will develop fitness, power, endurance and strengthen different muscles. Trail running will change you in a faster and happier runner. On a trail, it doesn’t matter how fast your’re running. Enjoy the beautiful place you travel and the moment you’re living: High Coast runners are lucky runners, and now can be your time, too. Before to start your run or hike, give a boost at your training with 10/15' of basic, bodyweight exercises, like squat, push-ups, planks: they are the best to prepare your body for trail and hill running. Talking with local trail runners - and being runners ourselves (we love it!) 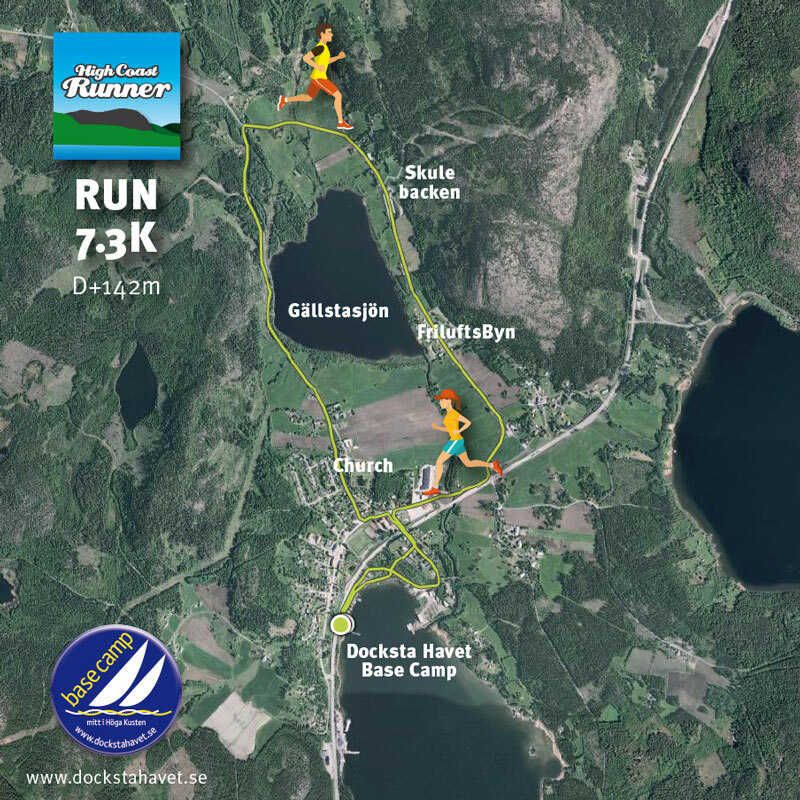 - we selected and tested the best paths around Docksta and Skuleberget. We focus on where the locals train or race and particularly the spots where they have fun. We highlighted more than 112 km of snaking trails to run, hike or walk starting from the seaside. Each path is unique and varied and you can run all the trails starting from the piers of our marina: you should definitely give them a try! Get ready to explore 10 of the best trail hotspot for beginners & expert runners in the Skule area. This route takes you past the Naturum museum & High Coast Visitor’s Center, goes up to the “Toppstugan” and down to the south side of the hill to the “outdoor village”, FriluftsByn. It's really a very steep climb but it's the shortest path to go up to the hill and the fastest to go down. Going up, you can take a short detour to reach the cave (the Kungsgrottan or Rövargrottan is famous for being visited by Linné in 1732). Warm-up run around the lake Gällstasjön: clockwise round. The full loop around the lake on is perfect for an easy and hilly run. It offers Skuleberget south side views nearly the whole run and passes through the Church, the Linbana and Friluftsbyn. Around Vårdkallberget, seaside ring to run across Norrfjärden and Dockstafjärden. >10k around Herrestaberget hill training from Docksta to... Docksta! Challenging climb up to Herrestatjärnen and (fun!) fast descent run to return in the village. Out-and-back trail takes you past the two lakes at Skuleberget’s feets. Enjoy in Docksta the Höga Kusten Trail race on September, 1st 2018! Sharing running experiences within the High Coast World Heritage in Sweden. 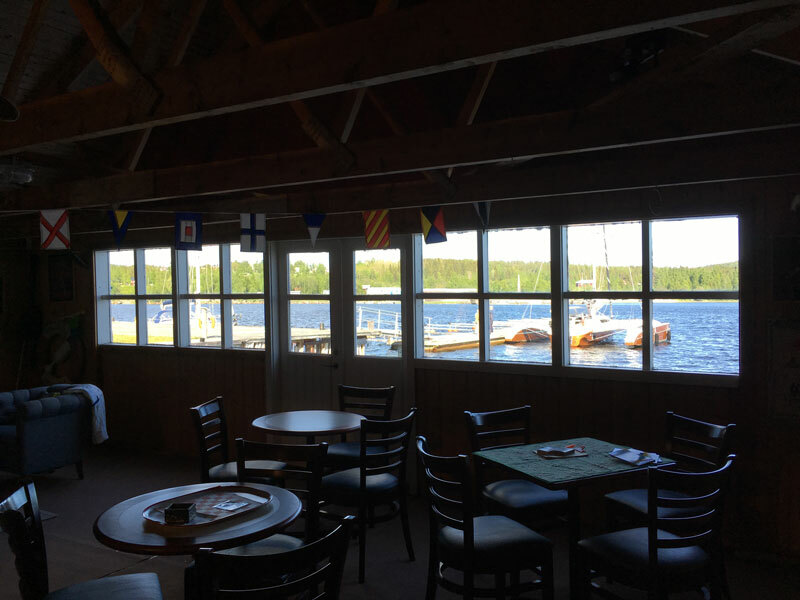 Sailing + outdoor fitness: in the High Coast, sailors stay active! Yes, it does: the wind shifts. This is important when sailing racing because it creates an opportunity to gain distance on the opponent boats or it will influence your losses. Wind shifts are a main strategic and tactical factor. Sailors say that a boat can be "headed" or "lifted" because a wind shifts can interfere in different ways on the direction the boat is sailing. If your boat is sailing upwind, the wind is lifting when its direction changes shifting from the bow toward the stern. This usually is a good shift, because your boat will head more upwind: it will allow you to head up few degrees with the lift and to keep a direction more close to the the weather mark while racing. If you don’t need to luff and go higher to point your destination upwind, when your boat encounters a lift, just trim the sails: release a bit them to gain speed mantaining the direction. When your boat is running downwind, the wind lifts when it changes direction by turning towards the stern. It is usually a negative shift. If you’re mantaining your run dead downwind, a wind lifting will force your sails to gybe, or you will have to head up away from your route to stay on the previous tack. If your point of sail is a reach, if the wind changes direction lifting, you will have to ease the sails – this means also that your boat will sail slower downwind. If your boat is heading upwind, header occurs when the direction of the wind shifts towards the bow. Encountering a header, the sails of your boat will start to luff. You will have to accommodate for the new wind direction by steering: you need to bear away few degrees your route, so, this means that a header will force you away from your destination straight upwind. Since a header is a shift that heads your boat more downwind, you need to tack your sailboat in headers to sail straight up the course toward the windward mark. If a boat is sailing on a heading tack, by tacking it will sail in a lift on the opposite tack. When your sailboat is running towards a point straight downwind and the wind shifts towards the bow, you will be able to sail at an angle that will point your boat closer to your destination. At the very least, a header will allow the dead downwind sailor to be sailing on a deep broad reach. If, during a reach, your bow is pointing towards the mark, to trim in the sails is all that’s needed with a header. When radio sailing, you can’t rely on the compass or landmarks to determine a wind shift. So, to detect if the direction of the wind is changing, you will relate your position to the other sailboats. If the direction of the wind is steady, both port or starboard tacks are exactly equal. When a wind shift occurs, one tack becomes more favorable: a header on one tack is automatically a lift on the other. Look at the opponents boats: how much they are lifted or headed? In case of differences, consider that one tack becomes more favorable than the other. If you’re sailing upwind, a boat lifted sail more closely in the direction of the weather mark than the other boats do. If the opposite tack your boat is sailing becomes more favorable, you should consider tacking. Try to sail on this more favorable tack as the wind shifts back in a header, then the opposite tack becomes the more favorable route. Your goal upwind is to sail each tack when it is lifted. By sailing the lifted tack, your boat will sail a more direct route to the weather mark. Remember to have a long and a short perspective view of the wind conditions. Stay focused on sailing well in the wind you have (immediate effects) and to manage it at your best - i.e. when your boat encounters a gust - but try to anticipate the wind changes (short terms effects) - like puff or lull - and be prepared to react to them, by proper steering and trimming the sails. Always consider how is better to position your boat: due to the direction of the wind or its changes or for a better wind pressure in relation of the opponent boats and the next mark. When in 2006 the area and the structures of the marina in Docksta were restored, the first goal was to reintroduce moorings, facilities and dedicated services to support sailors & cruisers. It was too long that Docksta was waiting to welcome the long distance sailors again. Second goal was to support sailing experiences within the High Coast and to awake new focus and interest in the natural, cultural and touristic coastal assets of the Höga Kusten / High Coast UNESCO World Heritage. The beauty of the High Coast waters and its natural coastlines is a great value to share within the international sailing community. they don't just love sailing open waters or wild mooring: sailors move inland for great outdoor experiences to share with people onboard. So, year after year, more boats and crews are sailing up to the northern part of the Baltic Sea and heading to the Swedish High Coast & the Finnish Kvarken Archipelago. Overview of the piers of the "gästhamn" and Dockstafjärden. Docksta has become a landmark for many Baltic Sea Cruisers in discovering the best spots: here they can safely moor their sailboats or motor yachts but also can discover the best that the High Coast has to offer ashore. The guest harbour's location is in the heart of the UNESCO world heritage: in Docksta, we encourage people to pair sailing with walking, biking, hiking (and running!) from the piers. Sailors start from the marina to enjoy the natural surroundings, the main outdoor activities & the events around Skule mountain. We highlight them the most stunning paths around Docksta, at different levels of difficulty but overall quite easy and accessible to any family. 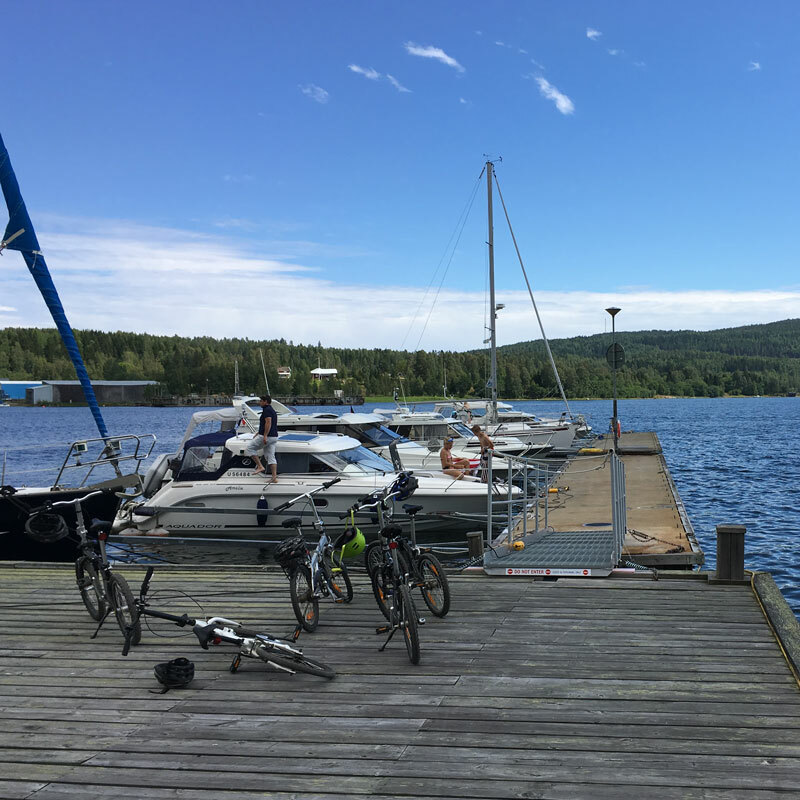 The national park of Skuleberget is easy to reach from our piers also by bicycle (sailors can also rent our MTB). Baltic Cruisers in the Höga Kusten are coming in Docksta from all over the nordic Countries (Sweden, particularly from south of Sweden and Stockholm, Finland, Denmark and Norway), and from abroad (mainly Germany, UK and Holland). In the guest harbour they find fresh water to refill their tanks and electricity to recharge the boat's batteries, comfortable toilets & showers, a washing machine & dryer to refresh onboard linens & laundry. Docksta village offers useful commercial facilities and shops easy to reach from the piers and connections with the bus lines, the main road (E4) or local TAXI services. On average, they stop at the moorings for a couple of nights. Welcoming them with facilities and quality services for crew and boats moored at the guest harbour. Informing them about the best outdoor activities & natural assets in the area of Skuleberget and Skuleskogen. 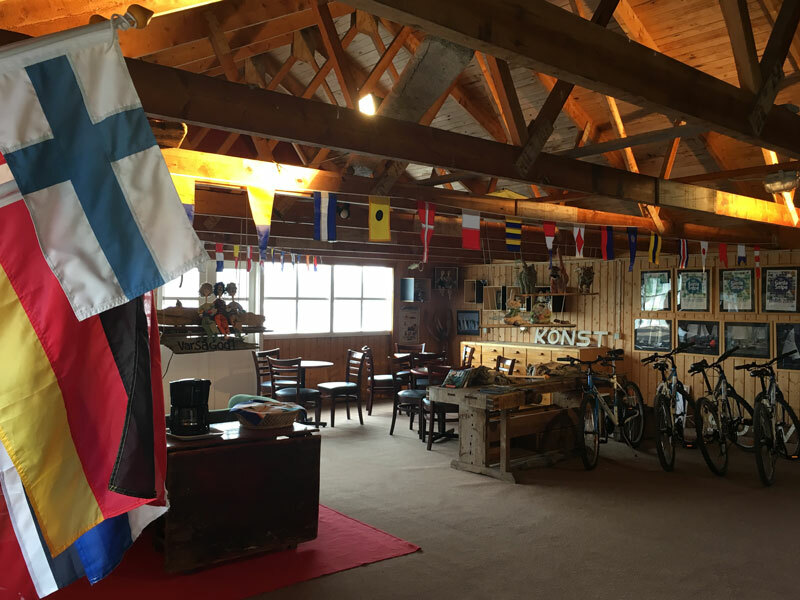 Engaging them in nautical activities & pop-up events on the "waterfront" playground in Docksta and in the Sailor's Club House. WHAT'S MARKETING THAT PEOPLE LOVE? At Docksta Havet Base Camp we care of boat & crew: if possible, we assist sailors during their docking and help them while they are mooring the boat. 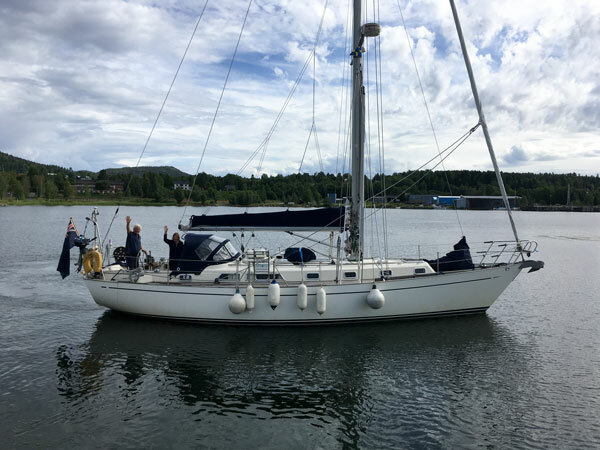 For sailors entusiasts that are dreaming to sail the waters of the Höga Kusten UNESCO world heritage in Sweden, online we share topics about sailing and outdoor from the High Coast. 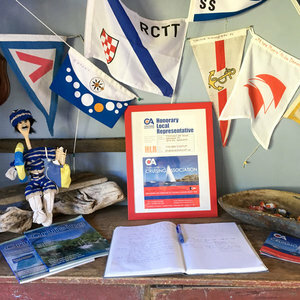 "A great place for solo sailors cruising in the High Coast"
The network of CA Honorary Local Representatives (HLRs) aim to support Cruising Association members while they are visiting or planning to visit specific harbors/ports, or areas like the Höga Kusten, by providing helpful assistance, information and advice - plus a friendly welcome! - to yachtsmen and their crew. Founded in 1908, the Cruising Association ("CA" website is www.cruising.org.uk) has several thousand members, of whom about 900 are "CA Baltic section" members that means they have sailed in Baltic Sea, or are interested in sailing in all the Countries bordering the Baltic Sea - Germany, Denmark, Norway, Sweden, Finland, Russia, Estonia, Latvia, Lithuania and Poland (Greenland, Iceland and the Faroe Islands also form part of the section). Quite a few members are non-British, and/or non-UK-based. The aim of CA is to encourage cruising in sail yachts and motor yachts. What is really impressive is how CA Members like and are effective to share experiences, knowledge, and fun to get the most out of their cruising. Information is distribuited through the section's newsletter, website and the forum. For info, please contact the Section Secretaries, Graham and Fay Cattell, at baltic@theca.org.uk or CA staff at office@theca.org.uk. 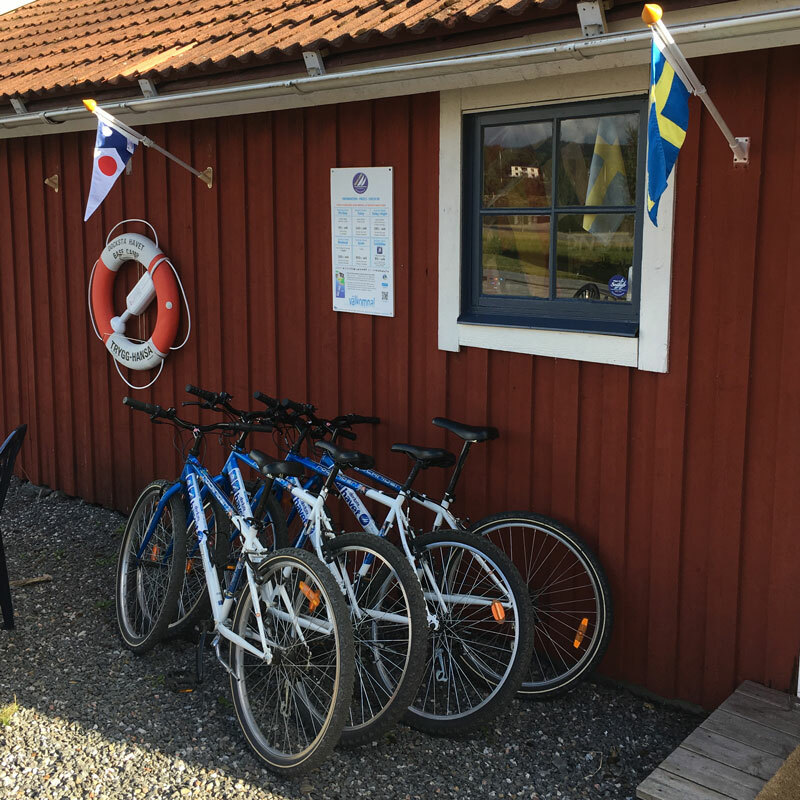 Docksta Havet Base Camp is a guest harbour member of the Riksföreningen Gästhamnar Sverige (RGS), its quality is certified 4 stars out of 5. Not only to approach race sailing, sailors need to train arms, legs and core to supports their performance on board. Sailors need to move more even while cruising and to do regular physical activity and exercise. A long day on the sea involves a lot a confidence in boating routines, but it’s really important also to keep your body trained and to boost your endurance because the work to do onboard is sometimes heavy. At the same time, the spaces to move your body on a boat are really limited and people spend many hours (too much!) basicly just sitting, while steering, trimming or just standing on the deck while sailing. Any fitness activity that involves physical movement brings benefits: walking, biking or exercises like weight lifting or bodyweight workouts are great for counteracting long periods of sitting during cruising. Boaters prove to be increasingly aware of the importance to stay fit while sailing, so here are highlighted many occasions to get moving during cruising holidays in the Höga Kusten. Walking or hiking, if you’re not confident in running, are perfect physical activities to keep you in motion and to break the time you spent boating. Plus, sailing the High Coast, you can enjoy these activities exploring great outdoors immersed in the nature. Many sailors love to add poles to their walks: they provide balance and stability and reduce impact on the knees and hips. Practicing Nordic Walking you engage up to 90% of your muscles by activating your core and upper body instead of just the lower body during normal walking. Using poles, you burn plus 20-46% more calories than standard walking. Have you forgotten to add them to your luggage? 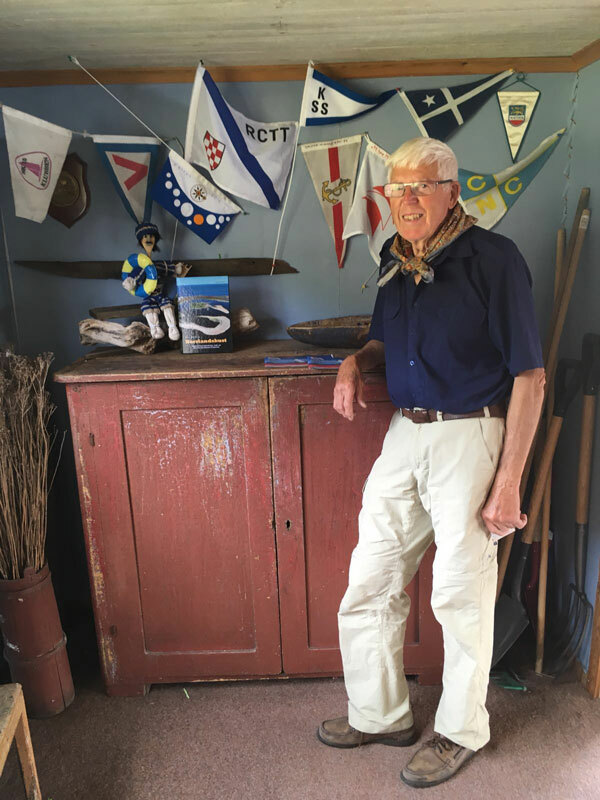 Don’t worry, you can ask for a pair of poles in the Sailor's Club House! Sailors have offen a pair of folding bikes as tenders: cycling is a smart way to explore and having fun moving your legs. It’s great for sightseeing or to commute to shopping during your cruise along the coastline. Starting from your mooring at the marina in Docksta, you have many opportunities to ride: cycling to discover the area around Docksta & Skuleberget and reach the museum “Naturum”, to commute to the southern entrance of the Skuleskogen national park or just to enjoy few kilometers on the sunny terrain roads along Dockstafjärden. We’ll provide you with helpful tips & maps of the best destinations. 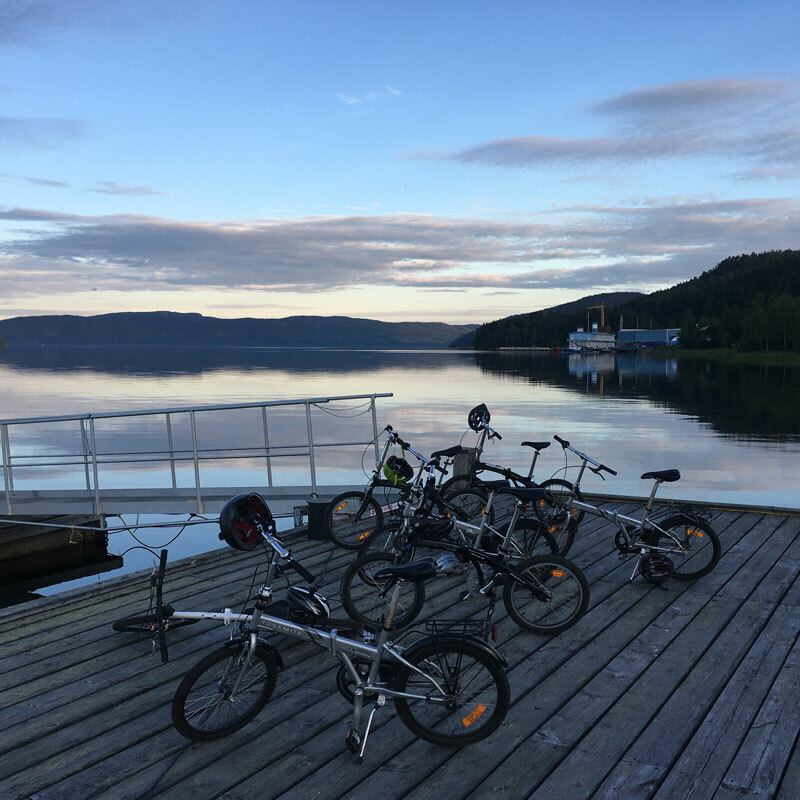 If you need a bike more for a guests onboard or you feel that carrying bikes on your boat is a big waste of space, while mooring your boat at Docksta Havet you find mountain bikes for rental. Bodyweight exercises - pushup, squat, lunge, plank - can be done almost anywhere. 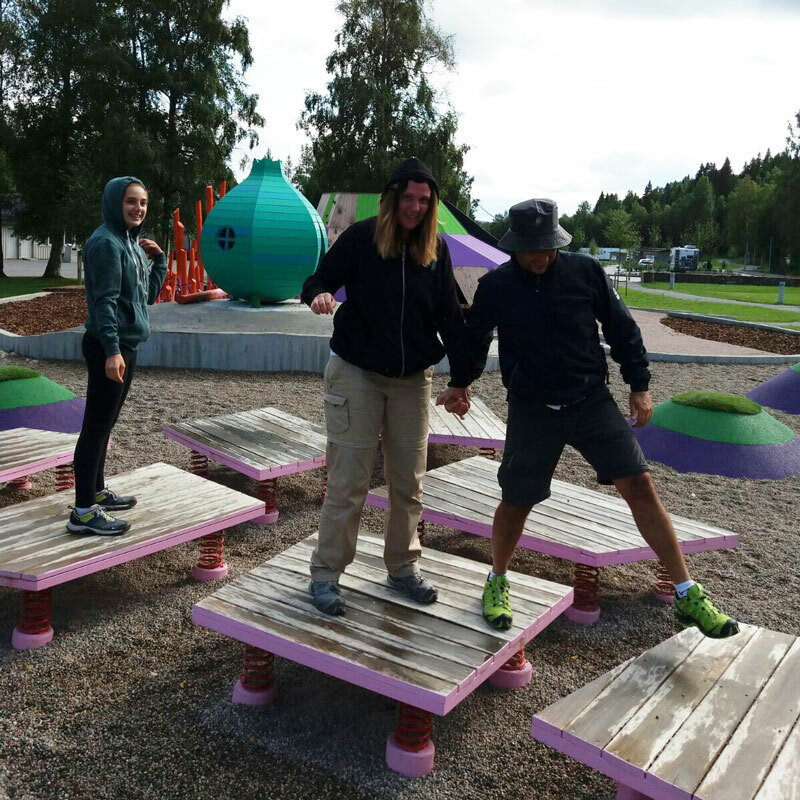 And doing them on the red granite of Nordingrå just adds fun. Planks are the best exercises to practice on the pier for core strengthening: you engage multiple muscle groups but it also works gluteus and hamstrings. Planks support posture and improve balance. A resistance band is a perfect tool to keep aboard when wanting to exercise while cruising: it enables you to do full body workout without using weights or other heavy equipment. 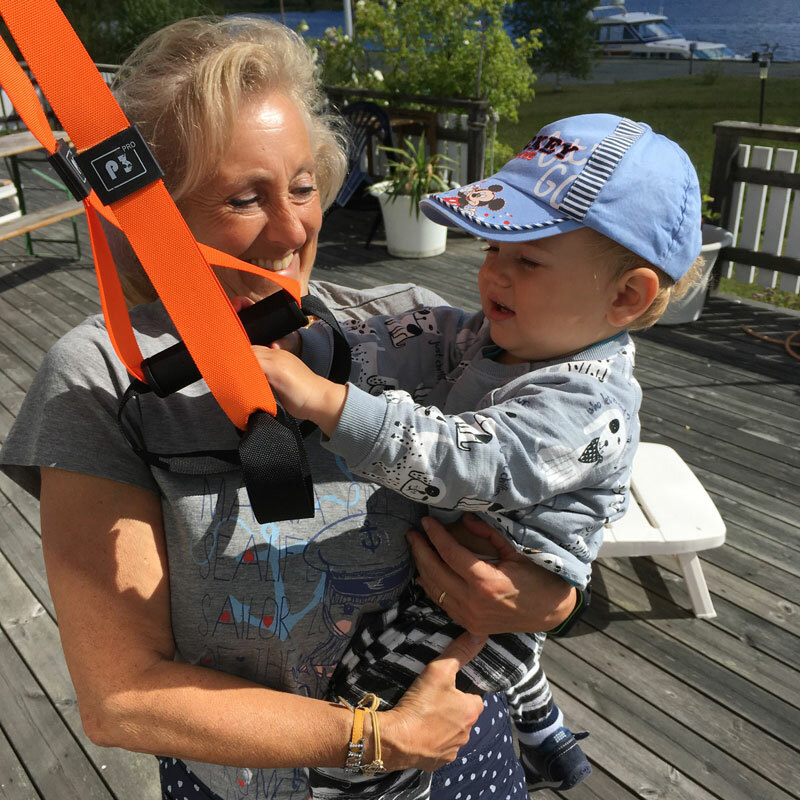 Another great system to train is a set of TRX straps: they deliver an effective total body workout, they are portable and you can use them anywhere you want: for example by anchoring them on a tree or even onboard on the mast of your sailing boat. Early morning over the pier, when the air is fresh and the water usually is calm is the perfect moment to start breathing and relax and then to perform few minutes of your daily fitness routines. You’re welcome to enjoy them on the piers or the grass at the marina! Nitric Oxide Release Workout (by Dr. Mercola) is a smart and highly effective 4 short series of easy exercises: Squats, Tin Soldier, Snow Angel and Military Press that everybody can do on a daily basis. 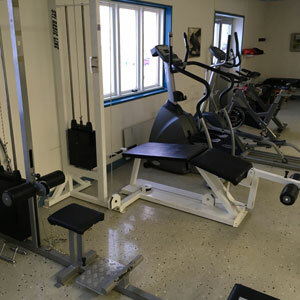 While your cruising, don’t let being away from the gym prevent you from working out. In Docksta, you can keep your session going on thanks to the local passionate gym. 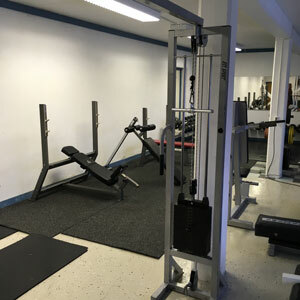 At Pat’s Gym, strength-based exercises with free weights are not just for bodybuilders. Here people are aware of the importance of fitness training. Weight lifting is a central activity to stay fit and healthy at any ages. It is recommended to improve the strength and muscular endurance to support your daily activities. Working with weights gives special satisfaction. Not only athletes and body builders achieve fun and benefits! The gym in Docksta is open 24/7 and provides also one session of training with a daily pass formula without membership. 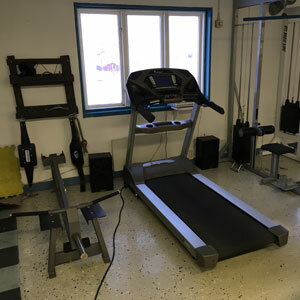 Even sailors choose it to perform a full strength training using professional fitness tools for weight lifting during their mooring at Docksta Havet guest harbour. Are you ready to pump iron as a pro sailor? Running or even better trail running (if you’re a lucky sailor boating along the High Coast) allows you to add just light gear to your sailor’s bag: transpirant T-shirts & pants, a hat to protect you from a bright overhead sun or from falling rain, a hydration backpack and a good, light pair of off-road running shoes. In the High Coast, your cruising can bring some of the most exciting experiences of running in the Nature you never can even imagine. Every run in Docksta is unique and an enjoyable experience. You can easily head out on a trail in the woods or a sunny road by the seaside, reaching the beautiful view on Vårdkallberget, hill running up and down the Skuleberget on the best segments of the Höga Kusten Trail race. There are several trails that we suggest sailors, on distances from few kilometers to half marathon, that they can run, jog or simply walk starting from the pier of the marina. There is a new opportunity to spend a great time by the seaside on the waterfront of Docksta: during the summer, you can have fun racing radio-controlled sailboats: at Docksta Havet Base Camp, you can rent & sail fast DF65 radio yachts in a dedicated arena, with floating marks and different courses. Sailors start to see Docksta as the biggest opportunity to practice outdoor activities while cruising the High Coast: you can hike on the paths of Skuleskogen national park or join the climbers at Via Ferrata to reach the peaks of Skuleberget, bike or run many roads or trails by the seaside, or just walk the Höga Kusten Leden in the woods. There are outdoor contests and races to join during the summer, like the Höga Kusten Hike and Höga Kusten Trail or the Swedish Outdoor Festival (Utefest) in September. Many other events engage you outdoor: starting from the musical concerts at Skuleskogen Naturscen to the Wednesday Evenings at the Toppstugan, the best events you can join in the Höga Kusten around Docksta [see the calendar] are held outdoor and are surrounded by the Nature. High Coast sailors are lucky sailors. Why to choose between the sea and the mountains when you can enjoy both? In the Höga Kusten, sailing and hiking are perfectly mixed up. 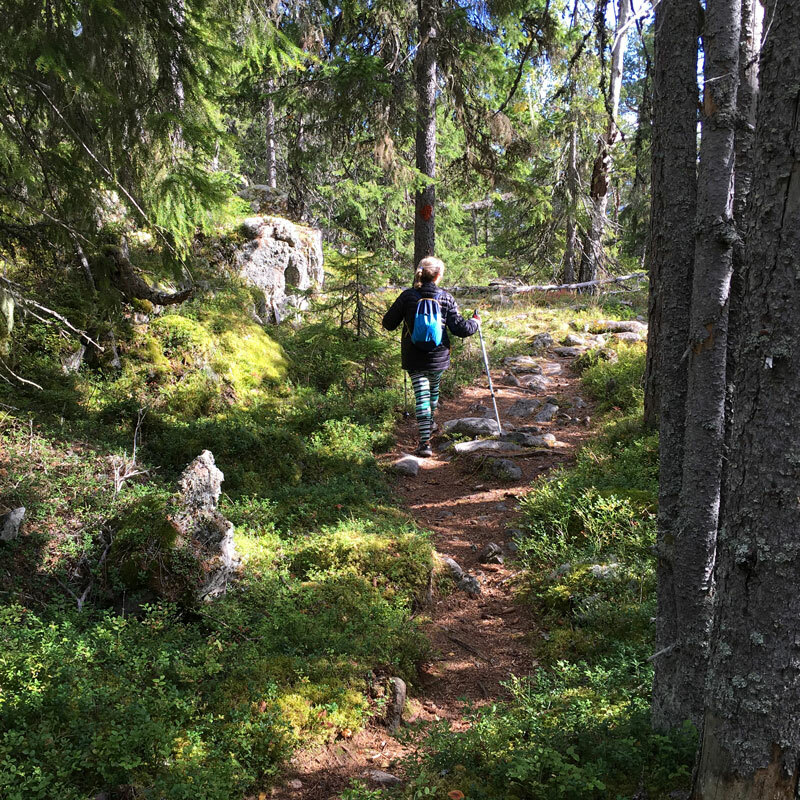 During their cruising, sailors head to the heart of the High Coast to hike the most stunning mountain peaks: Skuleberget, Mjältön and the trails of Skuleskogen national park are three of the top hiking destinations in the UNESCO world heritage. Mjältön is easy to reach by the sea for sailors cruising on the coastline: coming from north, i.e. from Trysunda, the stunning island of the archipelago outside the national park of Skuleskogen or coming from south, from Bönhamn or after a visit of the natural area of Nörrfallsviken. Mjältön is just in front of the west entrance of the harbour of Ulvön, where the deep fjord that brings to Docksta (Ullångersfjärden) opens into the sea. Sailors are usual to moor into the natural harbour named Baggviken and from there to start walking the paths that bring to the peak of the mountain and a small lake. If you're cruising during the summer around the island, you will enjoy also many beaches and small bays around the natural coastline of Mjältön. The video is powered by Ottiliana Sailing team and shared after their summer cruising into the Höga Kusten. We already published a blog post about these Finnish sailors and their wooden boat, with great videos that report also their sailing to Docksta and, starting from the pier of Docksta Havet guest harbour, their experiences of hiking to the top of Skuleberget on the new path "Höga Kusten Stigen". The tradition to bring a small stone on the top started during the Sixties and sailors are still doing this to mark the climbing to the peak of Mjältön at 236m over the sea level. "In this episode I visit the highest island in Sweden, Mjältön, where I climb to the top. It is a stunning view, but my question is why we all carry a stone to the top? Who started this tradition and why? Maybe every person have a different and unique explanation, what do you think? Anyway, a nice place to visit, I highly reccomend it to everyone!" 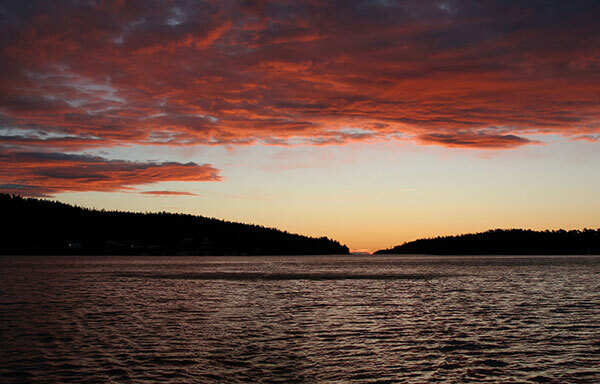 What's your favorite adventure during your cruising the High Coast? Nature or mix nature and outdoor activities? Hiking and walking are probably the most favorite activities that engage sailors outdoor involving sport and fitness attitudes. 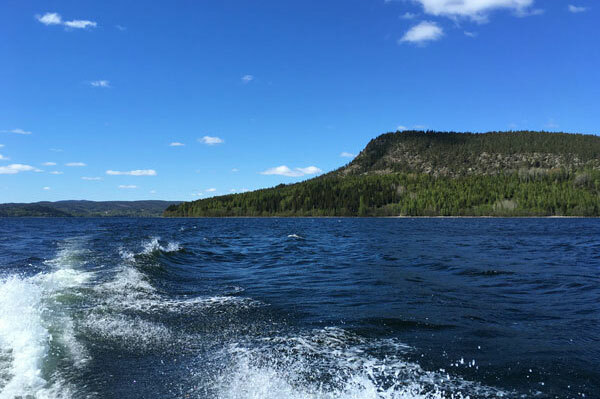 They usually head to the most internal coast to experience the outstanding views from Skuleberget and the trails around Docksta that bring to some of the most stunning peaks of the High Coast archipelago, like Vårdkallberget or Skovedsberget. 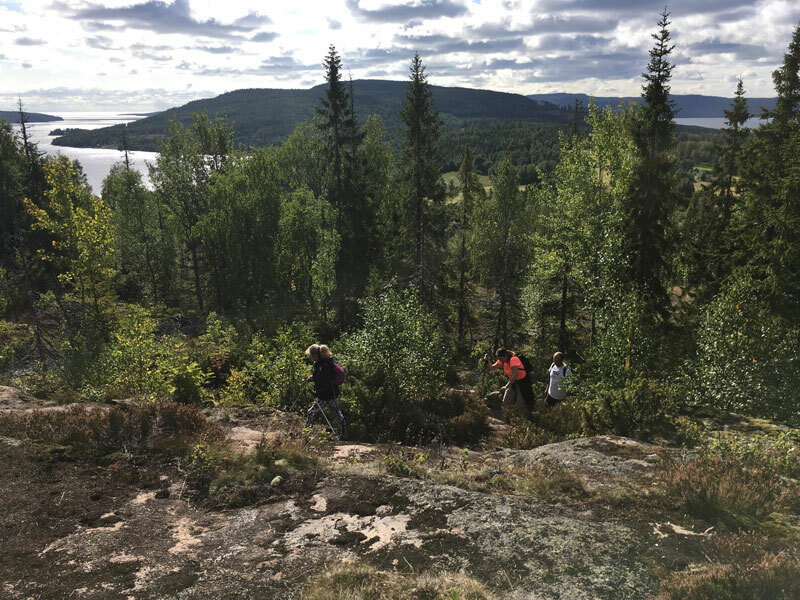 The area of Docksta is becoming the "outdoor Mecca": did you know that there are at least 4 paths to hike up to Skuleberget? (and 5 to climb it!). DOWNLOAD OUR FREE MAPS and enjoy the HIGH COAST walking, hiking, running! A key to sailing is to understand what the wind is doing: it’s mandatory to know the direction of the wind but it’s important to focus on the wind’s changes, too. The wind is rarely perfectly steady, it is always changing, at least a little bit and often you can use this to your advantage. How you do it? You must stay focused on its changes of direction and speed. And act. To keep your boat moving fast, trim and adjust sails continuously for maximum efficiency in relation to the wind direction. To make your boat sailing faster, catch the opportunities looking for more wind strength. Dark patches on the surface of the water represent zones of more wind. Is it possible that the wind can vary considerably over an area even relatively small of water. For example, one side of the race course may be reached by the wind gusts first. Both before and during the race, pay attention to estimate the overall wind flow tendency and wind speed fairly accurately. Look at surrounding flags or look for wind signs on the water to check what direction is the wind coming from and how fast is it blowing. Search for the best wind to determine the favored side of the racing course. When radio sailing, you control your sailboat at a distance: you can stand from your point of view on the pier and easily scan the race course. With experience, it will be easy to "read" the wind by its effect on the water around your boat and look for the most windy side. Where do you see spots of wind? Wind blowing with increasing strength causes ripples that often can be seen coming on the water surface: they make the water look darker, a good indicator of wind speed. Remember: dark patches on the water represent more wind. Reading at a distance the wind by its effect on the water can really help you see the distinction between puffs and lulls on the water (puffs are an increase - big or small, in the prevalent breeze). Simply seeing a wind increase coming helps you prepare for steering your boat and trimming the sails properly. Sometimes, it is difficult to keep your boat sailing in a puff for very long: anyway try! because you will sail a faster route, particularly downwind. Is your boat sailing in the most wind available? If not, make a change and go where it is stronger: sail in more wind to gain more speed on the other boats. Watch other sailboats to see how they heel when on the wind, particularly if they are sailing in a different area of the course. Are they faster? Are they encountering more wind? Are their hulls bows pointing the direction to the mark higher or lower? Pay always attention if a part of a race course may have more wind than another to determine, for example, which tack is better on a windward leg or how to position your boat compared to your opponents. DF65 yachts sailing close on a windward leg. If your boat is sailing close behind an other boat that is close to windward or immediately to leeward, their sails will interfere with your wind and this will compromise your boat speed. Search for clean wind and, if possible, keep your boat sailing an open lane (with no other boats disturbing the wind in which you’re sailing) and you’ll have more wind. If you are sailing in the High Coast don’t miss a great outdoor music experience. 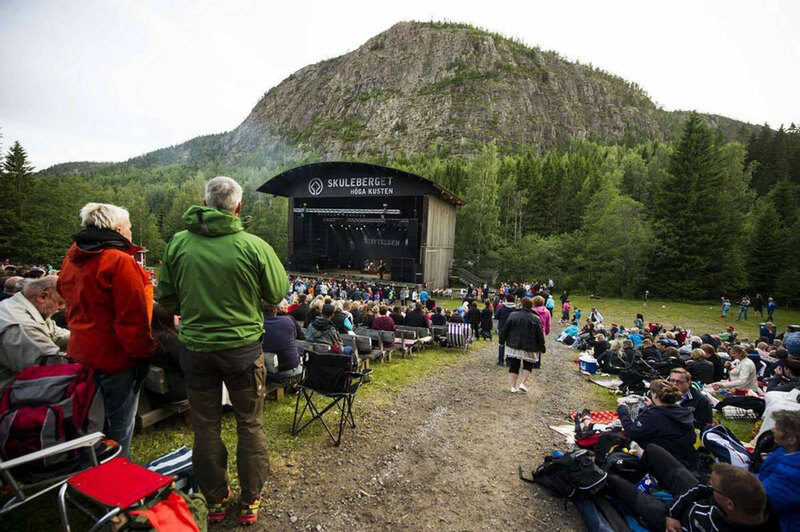 It is not anymore just Skulefestivalen on July, 13-14th that will engage passionates to the outdoor concert natural arena at the Skuleberget’s feets! Starting from June and during the whole Summer, there are plenty of outdoor concerts that you can enjoy in an unique & natural context. 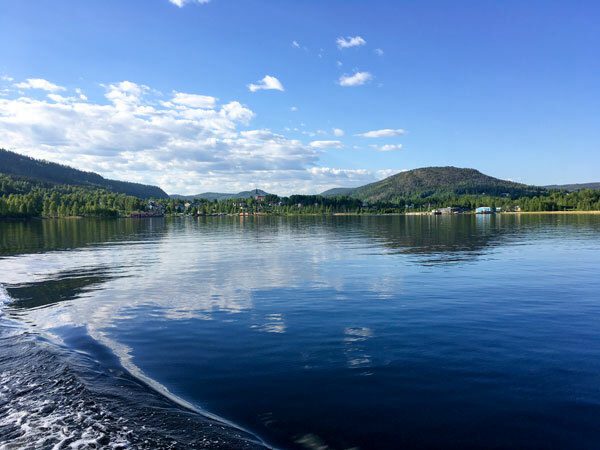 Save the dates of the concerts at Skuleberget and start planning your cruising with another reason for a stop in Docksta: here you find the info to safely moor your yacht and enjoy the great outdoors in the area of Skule and Docksta.